Our company has always prided itself on the effective means of operation.Over the years it allowed us to develop a straightforward and comprehensive strategy when it comes to selling such sensitive parts like laptop, tablet and phone LCD screens. From the most comprehensive website, to the most automation in purchasing process to highly optimized support options, our company continues to be an embodiment of efficient, yet attentive business and an authority on LCD screens world-wide. We strongly believe that support is key to return business, as well as starting new client relations. Although most of the possible questions are covered in various forms on our website, our support department looks forward to responding to client inquiries. It gives us a chance to engage our clients and provides the most direct feedback on the immediate state of our operations. Typically we ship hundreds of screens per day (some days – over a thousand pieces), so quite naturally our support queue is very lively. Up to couple hundred tickets can be generated in a single day; a few hundred calls are received on-site every business day; all of that while answering On-Line chat queries and not forgetting to each our lunch. We are pleased to report that our support tickets are answered with-in an average 8 minutes of the receipt, our phone call average hold time is under 60 seconds and the On-Line Chat is typically answered with-in 20 seconds! 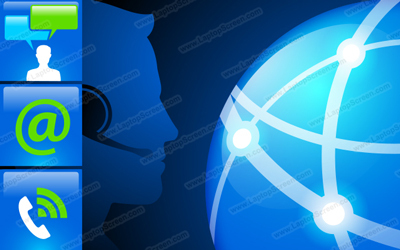 By submitting a support ticket, our customers get to enjoy world-class knowledgeable support in out-of-this-world time frame – talk to IT professionals – they will vouch that a continual 8 minute response time is in the “stratosphere” of a typical IT support desk. Support tickets are answered around the clock! Quite often a customer may have a quick question, or a “quirk” they would like to confirm or investigate. Our On-Line chat is available from every page of our site (except for blog), and it allows our customers to have the quickest answer in a content specific setting. On-Line chat is typically active 12 hours per day, from 9am to 9pm Central Time. On-Line Chat is a great way to get in-touch with us for a site tour or questions regarding specific products. If you have purchased from us before, and would like to ask follow up questions regarding installation, service or troubleshooting, submitting a support ticket is a much more comprehensive mean to getting an answer. Our toll-free line is open from 9am to 9pm Central Time and receives couple of hundred calls per day. We love answering the phone; it allows us to get personal with our clients, gauge feedback to our site, catch service outages and answer quick questions. – Your ability to deliver quick messages to us in exceptional circumstances, like address corrections, additions, cancellations, shipping upgrades, etc. However, we do have to say, that calling us is only effective for a very narrow band of questions and concerns, and because troubleshooting and RMA procedures require images and documents to be transferred such matters are not well suited to be taken care of over-the-phone. While we love hearing from our clients, and given the freedom we’d be educating every caller about the smallest intricacies of the LCD parts; we have to note that based on years of experience, submitting a support ticket to address a specific issue will take less time and will be much more precise than calling us on the phone.